Kia Motors America (KMA) today announced it will give its new midsize SUV the moniker of “Borrego” when it debuts in January at the Detroit Auto Show. 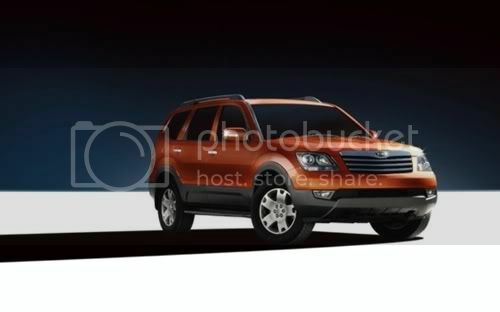 The Kia Borrego will be manufactured in Korea and go on sale in North America in late spring/early summer of 2008 as a 2009 model. Built with body-on-frame construction incorporating the latest in NVH engineering philosophy, Borrego will be Kia’s newest addition to its well-rounded full-line of vehicles that continually provide value, safety and a steadfast 10-year/100,000-mile warranty to consumers. Borrego will be available with either a V6 engine or the company’s first V8 offering, which will also boast Kia’s largest towing capacity to date.